This year, Germany is flooded with apples. Wherever we drove lately, trees are so gorgeous, you can see tons of vibrant, red apples from far away. Of course, this means that we’re having tons of apples at home, not only because regional + seasonal food is the best to buy & eat, but also because our lovely family keeps on giving us apples from their own trees. As a nutritionist & gourmet, having beautiful organic apples straight from the trees in the neighbourhood is a dream come true. Naturally, this means a lot of different recipes to enjoy them. And, although I’ll definitely be sharing more in the weeks to come, I wanted to start with something super simple that you can use in many different ways. Apples & cookies are coming, so brace yourself. I want you to be READY for Christmas with all the delicious cookies & sweets, so that you can nourish yourself all the time! And trust me, healthy Christmas cookies & cakes are absolutely mind-blowing. So, if you’re scared of being deprived while wanting to nourish yourself during the most wonderful time of the year, I definitely got you covered. Smell!! I’m a huge sucker for beautiful smells around the house! 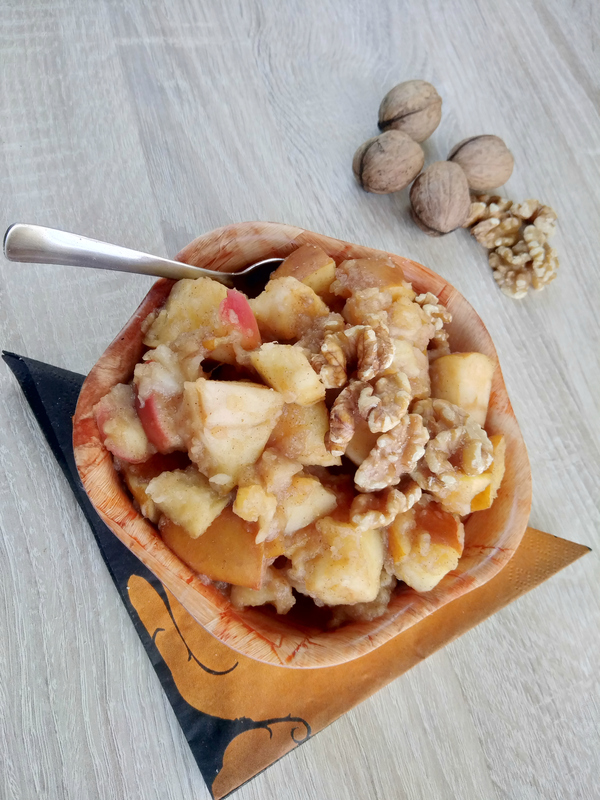 I already wrote about apples & I use them daily in my kitchen; whether it’s oatmeal, energy bars, pancakes or these stewed apples that you can use in so many amazing ways. Apples are a wonderul fruit because they’re super gut-friendly with their soluble & unsoluble fiber. Gut health is incredibly important, especially since Western diet with its non-foods is harmful for our bacteria. Considering that we have 10 times more bacteria than human cells, I’d recommend nurturing our little gut friends. Apples contain vitamin C, potassium, polyphenols – they’ve been studied a lot, so it’s proven all about how amazing apples are. Whether it’s healthy digestion, protecting our hearts, cognitive function, healthy aging or even bone health – apples are there for the win! 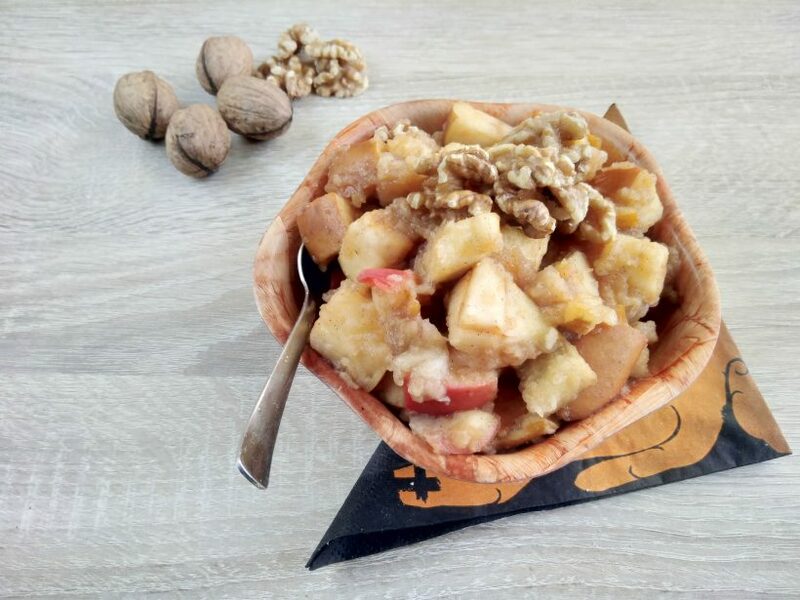 So, I’d highly recommend going through all the recipes & get the most out of the apple season! 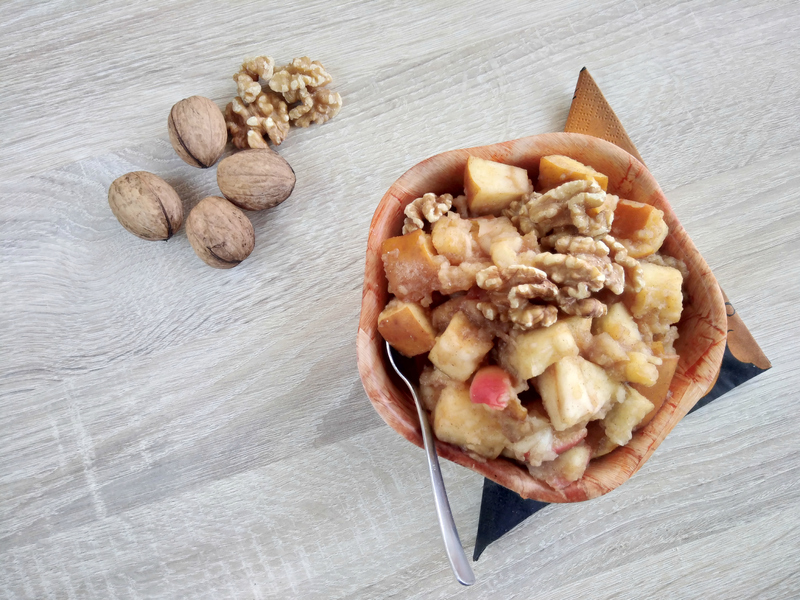 Stewed apples are one of the best ways to enjoy them, because you can add them to anything. Store them in the fridge, in the airtight container, for a couple of days. Apples are not the only amazing ingredient here – all of the spices we’re gonna use have their own nutritional benefits, as you can read below. Add all the ingredients in a small saucepan & cook, with a lid on, on low-medium heat for around 7 minutes. Remove the lid & continue cooking till they're tender - the way you like them. If needed, add a bit of water.